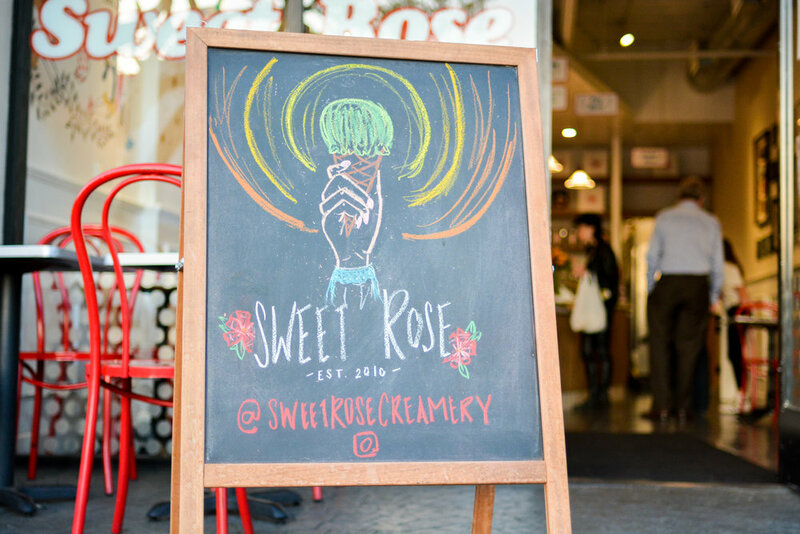 making chalkboards is a small hobby i picked up while working with sweet rose creamery. i got perhaps too into it too quickly, and started to get creative. 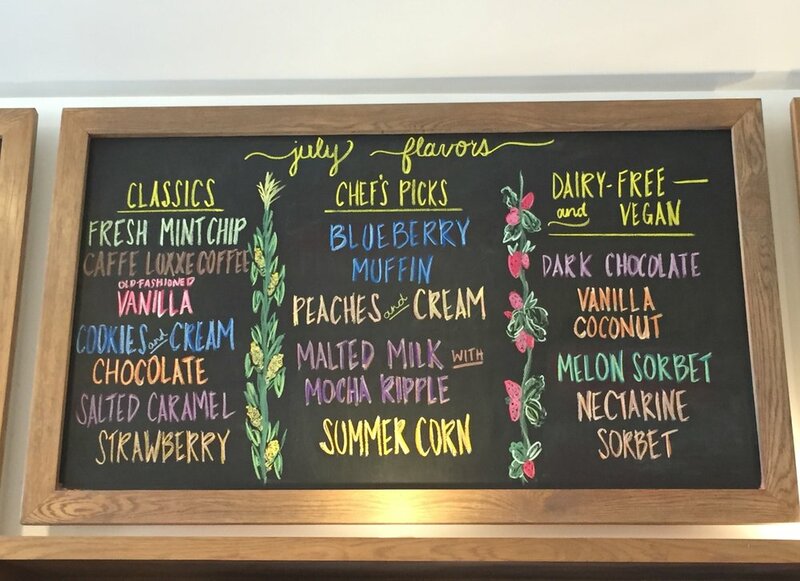 once, jennifer garner came into the store while i was making a board and said i was really good at it. 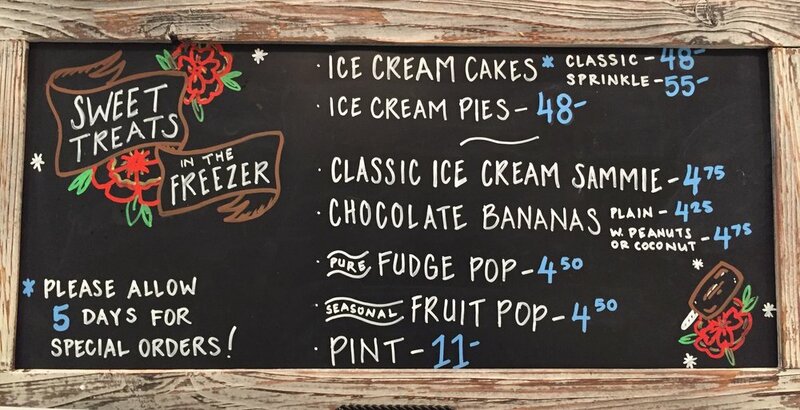 if there is any interest in having me do a free-hand chalkboard for you, i'm more than happy to expand to other genres besides ice cream.